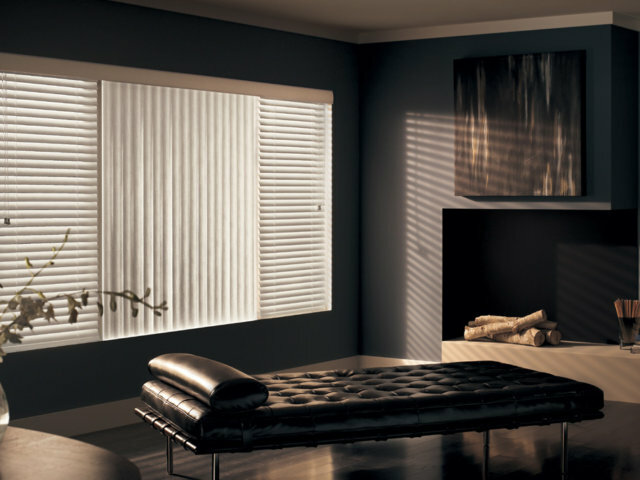 Blinds come in extensive choices for customization that include various fabrics, faux wood, metal, vinyl and PVC slats which are extremely durable and very easy to maintain. Blinds are a type of window covering with a variety of systems for opening and closing, as well as unlimited aesthetic possibilities. A typical blind is made with slats of material that adjust by rotating from an open position to a closed position by allowing the slats to overlap. 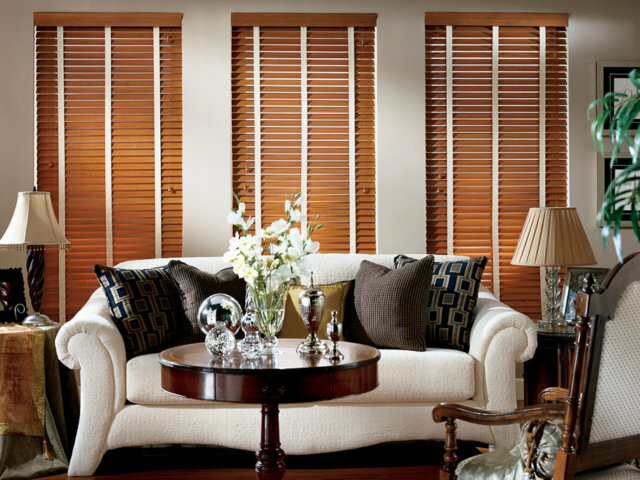 The main variations on style of blind include horizontal blinds, vertical blinds, and faux/real wood blinds. You can't beat vertical and horizontal aluminum blinds for their easy maintenance and excellent light control. They’re versatile and are a perfect complement for any room in your home. Our 2" horizontal faux wood blinds give you the best of both worlds! They have the look of luxurious real wood blinds at a price of about 15% less. 3 Blind Mice are your motorization specialists for QMotion, Somfy, Lutron, & Mechoshade. 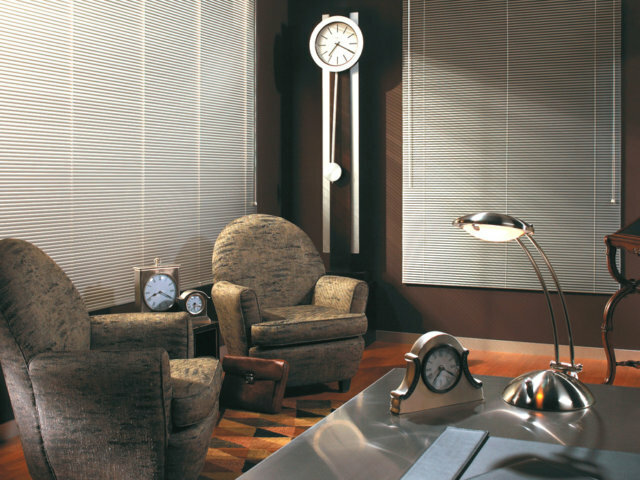 Check out our video gallery to view demonstrations of motorized blinds & shades in action. Vertical blinds are characterized as blinds with moveable slats that hang in the vertical orientation. If you have a tall window or a sliding glass door in your home, vertical blinds may be just the right fit as this type of blind is often used over large openings. 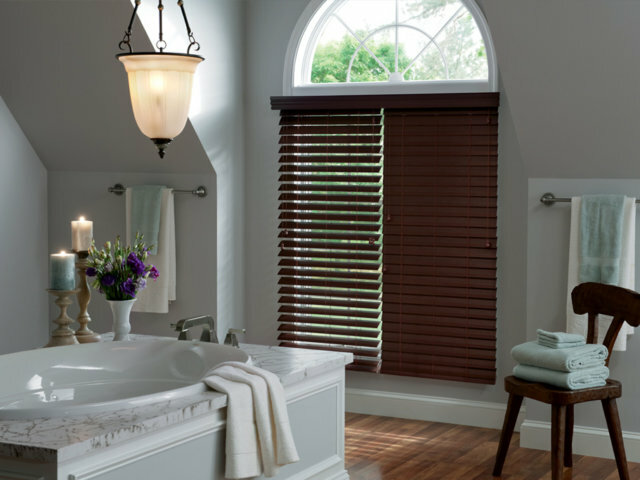 Wood blinds are the most popular option in the horizontal blind category. There are a number of unique woods to choose from, including Poplar and Basswood and a few exotic woods.